BAR HARBOR, MAINE — The MDI Biological Laboratory in Bar Harbor, Maine, has announced that it will offer a one-week intensive course May 27 through June 2, 2018 entitled “Applications of Organoid Technology” in partnership with Hubrecht Organoid Technology (The HUB), a non-profit organization based in Utrecht, Netherlands. The new biomedical innovation course, which will take place at the laboratory’s Maine campus, is geared to advanced graduate students, post-doctoral trainees and researchers at all levels who want to learn the basics of organoid culture and the most recent developments in the organoid field. The course will use cultures from the Living Biobank at The HUB, which include organoids from patients with cystic fibrosis and various forms of cancer. The HUB is founded on the pioneering work of Hans Clevers, M.D., Ph.D., who discovered methods to grow stem cell-derived human epithelial mini-organs from the tissues of patients with various diseases. The students will also develop their own organoids from mouse cells. 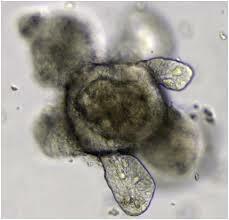 Organoids stably maintain the genotype/phenotype of the patient’s diseased tissue. They are small enough to be sustained without a blood supply, but large and diverse enough to provide insight into tissue development and whole-organ physiology. The ability to grow organoids allows scientists to use these three-dimensional mini-organs for modeling disease, screening drugs and potentially even replacing defective tissue. MDI Biological Laboratory scientists are pioneering new approaches to regenerative medicine focused on the development of drugs that activate the body’s natural ability to heal and slow age-related degenerative changes. The organoid course complements the institution’s mission by helping fill in the gap between preclinical drug development and human trials. The directors of the organoid course are Hugo de Jonge, Ph.D, professor at Erasmus University Medical Center (Erasmus MC) in Rotterdam, Netherlands, and a visiting professor at the MDI Biological Laboratory, and Robert Vries, Ph.D., managing director at Foundation Hubrecht Organoid Technology. Faculty members are Sylvia F. Boj, Ph.D., scientific director at Foundation Hubrecht Organoid Technology, and Gert-Jan Kremers, Ph.D., director of the imaging center at Erasmus MC. For more information or to register, please email education@nullmdibl.org or visit our website at mdibl.org/education/courses/. Our scientists are pioneering new approaches to regenerative medicine focused on drugs that activate our natural ability to heal, and slow age-related degenerative changes. In only a few years, our unique approach has identified drug candidates with the potential to treat major diseases, demonstrating that regeneration could be as simple as taking a pill. As innovators and entrepreneurs, we also teach what we know. Our new Center for Science Entrepreneurship prepares students for 21st century careers and equips entrepreneurs with the skills and resources to turn great ideas into successful products. For more information, please visit mdibl.org.